The self-tanner that lets you hop in the shower ten minutes after applying. 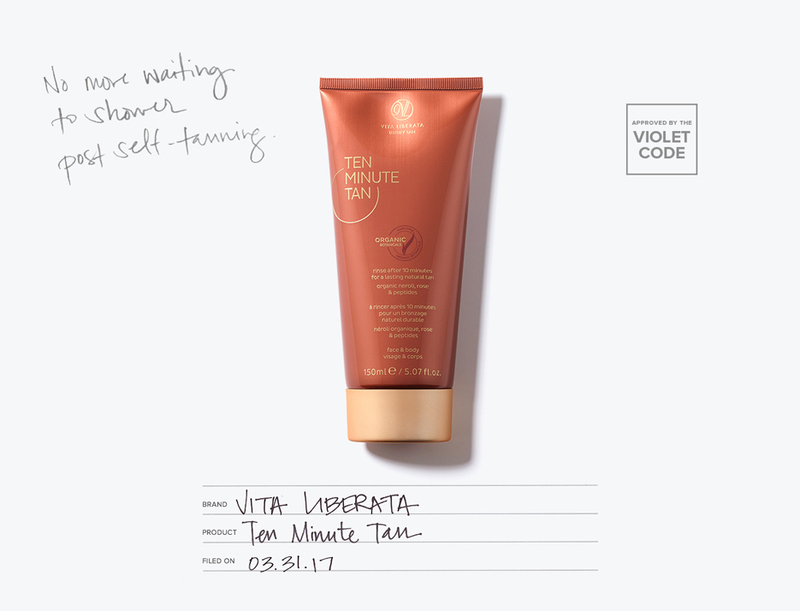 Self-tanning can require patience, but luckily, Vita Liberata’s newest essential doesn’t take much. Appropriately dubbed the Ten Minute Tan, this self-tanner does just what the name implies. Apply all over the face and body, wait 10 minutes, and then jump in the shower. Four to six hours later, you’ll look like you’ve just had a restorative weekend on the Amalfi Coast. And although the main goal is (obviously) to achieve a golden glow, the Ten Minute Tan takes it a step further with its skincare properties. Infused with a peptide complex, vitamin C, and omega oils, the formula reduces fine lines, stimulates collagen production, and hydrates skin. In other words, you’re tanning without the usual sun damage and dehydration.